+ Three joint ventures bid on the Phase I “design-build” contract, and two of the bids have been certified as being within the “affordability limit” of the remaining project budget of $1.319 billion (the total budget, including money already spent and for 24 new Green Line cars, is $2.289 billion). + It will not be known until the bids are opened publicly on November 17 whether any of them include any of the six “additive options” that were cut from the original project; bidders were asked to try to fit as many of these as possible into their proposals while remaining within the budget. The additive options, which must be added in this order of priority determined by the MBTA, are 1) Platform canopies at each station; 2) Additional elevators at select stations; 3) Public art; 4) Additional connection to the Community Path at Chester Street in Somerville; 5) Extension of the Community Path between East Somerville and Lechmere Stations. 6) Enhanced Green Line vehicle maintenance facility in Somerville. + The MBTA plans to announce the selected design-build contractor and issue a Notice to Proceed on December 11, 2017. “Right now,” Dalton said, “we have everything in place that we need to get this project off the ground by then end of this year.” The Green Line extension is anticipated to be in operation four years later, in December 2021. + Randy Henke of HNTB provided an update on three commuter rail construction projects underway in the GLX corridor that commuter rail operator Keolis should have wrapped up by spring 2018. Each project is related to accommodating the two additional tracks and train operations that will be added to the commuter rail corridors (the New Hampshire Main Line/Lowell Commuter Rail corridor for the Medford Branch, and the Fitchburg Commuter Rail corridor for the Union Square Branch). + Tufts Interlocking: A new interlocking (cross-over tracks) and signal house are being installed near the future College Avenue Station, replacing an existing interlocking in Somerville. Utility ducts also are being installed, as well as retaining walls (most of them temporary ones that will be replaced during the GLX construction). This project is expected to be complete by around Thanksgiving 2017. + Swift Interlocking: This new interlocking and track alignment is near McGrath Highway/Brickbottom apartments and under the Grand Junction Bridge. It will provide a new connection and signals for trains going to and from the Boston Engine Terminal (the commuter rail maintenance facility). + Yard Lead 10: This project is to rebuild existing tracks in the Inner Belt area of Somerville that will be used by Pan Am freight trains going to and from Boston. Martin Nee of City Point Partners provided an overview of the GLX stakeholder and community outreach going forward. 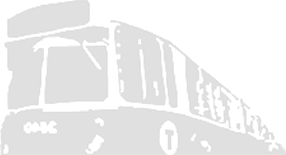 + Community Working Group: The MBTA is working with the cities of Somerville, Medford and Cambridge to establish a GLX Community Working Group that will advise the project team and assist with communication/feedback. This group will be different than the previous Design Working Group as it will focus mostly on construction issues. Community Citizen representation will be “station-centric.” The working group will also include members of the GLX Project Team and, once selected, representatives of the Design-Build Team. It is anticipated that the first Community Working Group meeting will take place in November. + Email updates: Updates via email are expected to become more frequent as construction activity increases, to a week-to-week or even day-to-day basis. People may sign up for the email updates on the GLX Project website, www.greenlineextension.org (as of Monday there were 5,341 subscribers). Last year, MassDOT requested that the Boston Region Metropolitan Planning Organization reassign $157 million that it had programmed for Phase II of the GLX (to Mystic Valley Parkway/Route 16) to close the budget shortfall for Phase I. As part of that request, MassDOT agreed to continue the Phase II planning by completing an Environmental Impact Study for the Route 16 Station. The first step in that process was the filing of a Notice of Project Change (NPC) with the Massachusetts Environmental Policy Act Office, which occurred on October 5. One the NPC will be made public, a procedure for written comments will be announced; there also will be a public meeting where people can comment on the NPC on the evening of November 20 at Tufts University’s Breed Hall, 51 Winthrop Street, Medford (time to be announced). Ten days after the close of public comment on the NPC, the state Secretary of Energy and Environmental Affairs will determine the scope of the Environmental Impact Study, which will be completed in 2018.